This is the seventeenth category of the 10th Annual AFT Television Awards, my personal choices for the best in television during the 2015-2016 season. Finalists and semi-finalists are included to recognize more of the impressive work done on television today. Nominees are pictured in the order I’ve ranked them. Finalists: Ray Donovan added rich recurring players to its already multi-faceted and highly effective dramatic team. Better Call Saul focused on its supporting personalities, enabling them to add their experiences to the main story. Mr. Robot had an electric lead and surrounded him with even more dynamic and gripping characters. Billions was all about the scenery-chewing on many fronts, pairing two fierce rivals and giving them plenty of support on either side. House of Cards scored eight acting Emmy nominations this season, and that doesn’t even account for some of the richest performances in this crowded but compelling ensemble. The Affair gave its two scorned spouses a spotlight and made their lives and the people in them just as intriguing. Narcos utilized an international cast to utmost effect, dramatizing an incredible saga with a superb showcase of actors from all over. Game of Thrones has so much going on that there’s bound to be dozens of great turns in a given episode, and this season only expanded on that. Downton Abbey aired its final year with an acutely committed cast prepared to offer period entertainment until the very end. 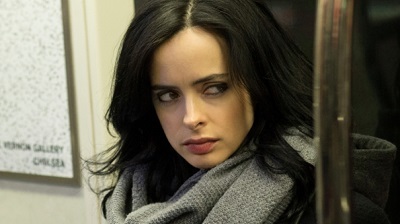 Jessica Jones centered on two magnetic enemies, yet it spared no expense on its other players, ensuring that they had rich storylines to enhance the overall show.